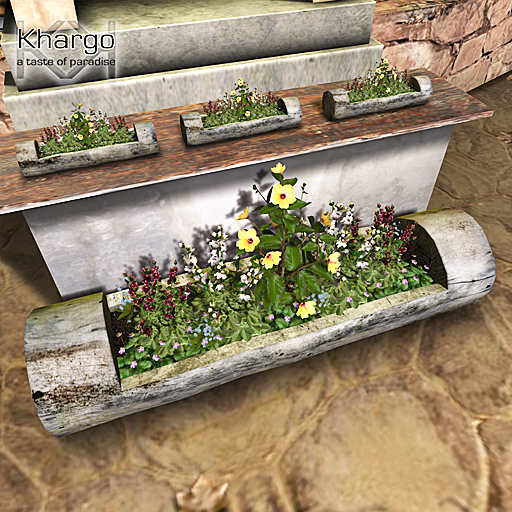 This month for TWE12VE we have made the Khargo Hanging Chair with Floorlamp and Rug. 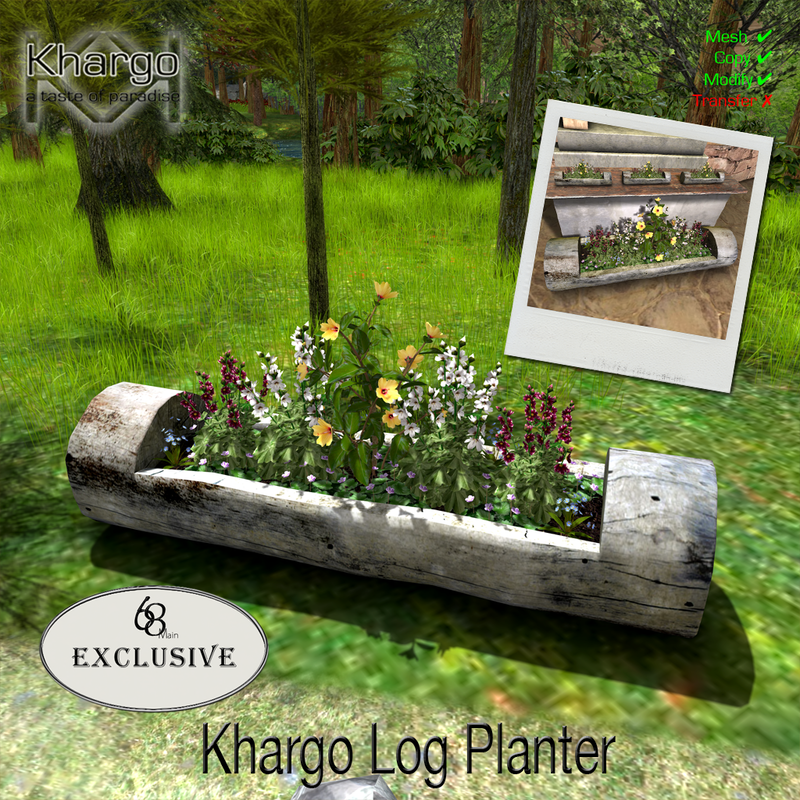 This set includes 2 versions in light wood and dark wood with matching floorlamps and a rug. There are 29 single animations and 48 couple animations. Available at TWE12VE from the 12th till the end of the month! For 68 Main this month we are looking forward to Spring already! 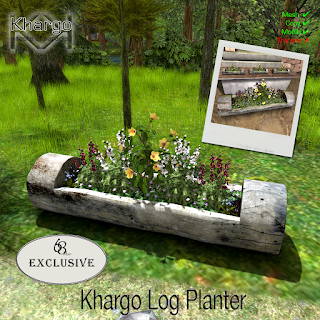 We have the Khargo Log Planter in 2 sizes. Large for outdoor and a small version for table tops or window sills.